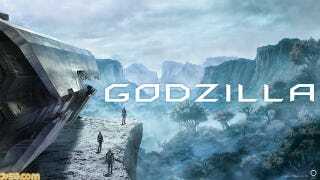 A Godzilla anime from Polygon Pictures is slated for release next year in Japan. A Godzilla anime from Polygon Pictures is slated for release next year in Japan. According to Famitsu, Hiroyuki Seshita and Kobun Shizuno are co-directing, while Gen Urobuchi is penning the script. No word yet on an international release. Pictured is the anime’s first teaser image.